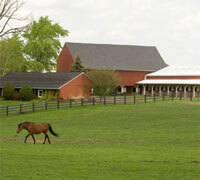 Michigan State University’s (MSU’s) My Horse University (MHU) online curricula are not only useful tools for individuals who want to learn more about horses, including selection, evaluation, welfare and behavior, but the two online learning programs can also be incorporated into youth and adult group experiences. Through MHU’s horse welfare and behavior program, participants can learn about horse behavior and how it can influence the way they interact with horses. 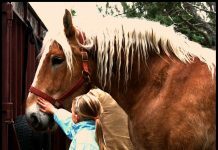 It’s appropriate for audiences from teens through adults and offers video and written information to help people understand why horses react to certain situations. 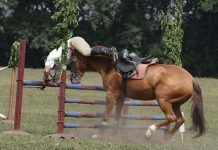 The horse selection and evaluation curriculum is designed to help would-be horse owners better understand how a horse’s form relates to its function and how to evaluate potential mounts for various uses. The programs’ learning modules can be used in group meetings and discussion groups. People can also access the information individually and learn at their own pace. 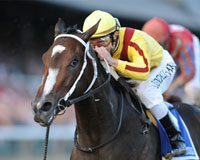 “The online course taught these advanced riders that it is more than just getting on a horse that there is ongoing research in the field of equine science. This program is a great foundation for learning about horse behavior and welfare,” says Director of Texas Equine U Intern Program Joycelyn Romero. For more information, contact info@myhorseuniversity.com or call (517) 353-3123.